@jhull, you are the absolute best! Thank you, thank you! @jhull, I'm becoming the writer from hell, no? 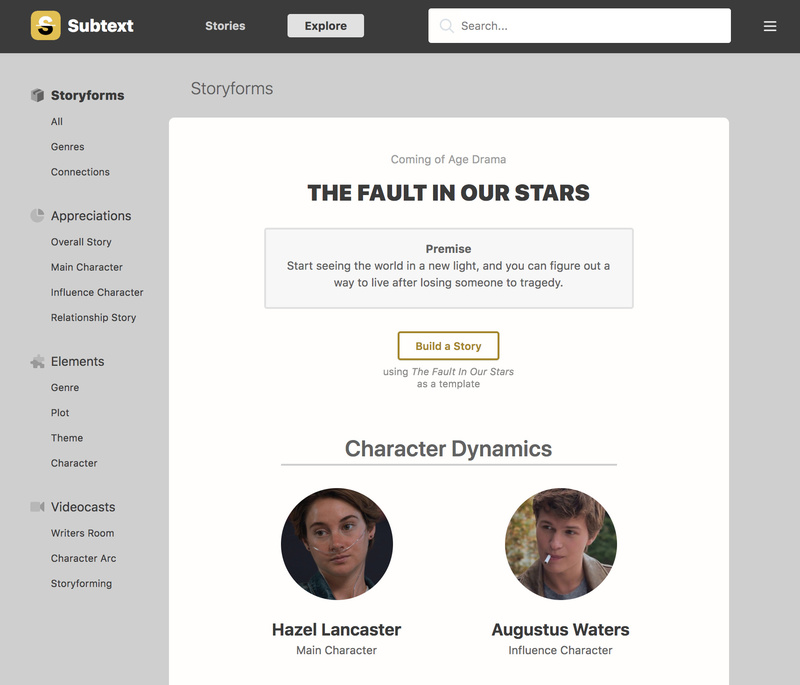 Anyways, here's a screenshot of my Subtext page...and the search I did for The Fault in Our Stars. Am I in the wrong place? @jhull Found it! Thank you! Yeah, I always forget to update the search indexes when I upload a new storyform. Thanks for reminding me of something once again! (You can always find them under Storyforns or listed under The Latest on the front page. Thanks again. Truly, you're the best! I noticed that the images were missing from that article as well -- added them back in. They should help explain some of the concepts better. @jhull, thanks for doing that!